Ruvati has added to its Fiamma Fireclay apron-front sink collection with an option that can sit on the corner of an island or countertop. 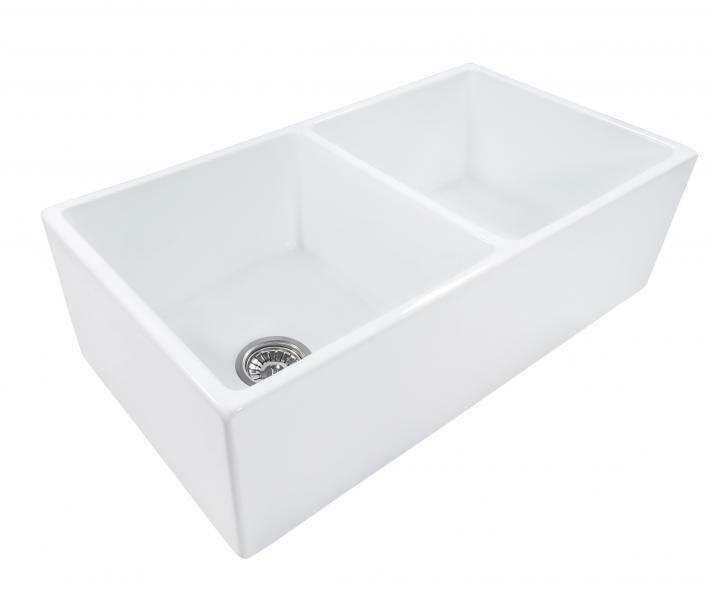 The new sink’s double bowl configuration offers a 10-inch depth and allows for two sides of the clay sink to be visible against kitchen cabinetry. It’s available in six finishes, including Crackled White, Glossy Black, Horizon Gray, and Coastal Shabby Chic. Ruvati’s Fiamma collection is crafted in Italy from clay that is fired at 2900 F. The process makes the bowls resistant to chips, cracks, and scratches, the company says.